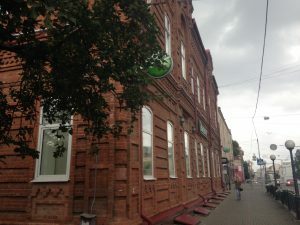 The building at 44 Lenin was designed by V. V. Kharbarov. 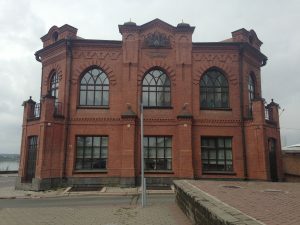 Khabarov designed many buildings in Tomsk, a handful of which still stand. The buildings are brick. 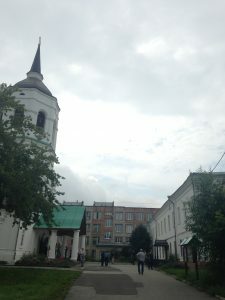 The Sliavianskii Bazar, which stands on the riverbank where the Ushaika meets the Tom’, is no doubt his best-known building. Some of the intricate brickwork on this building is repeated in the 44 Lenin building. 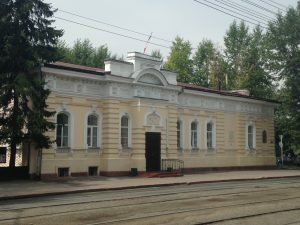 In 1891, he received a gold medal directly from the future Tsar Nicholas II for the governor’s residence building, which still stands as the “House of Scholars” near the City Garden. 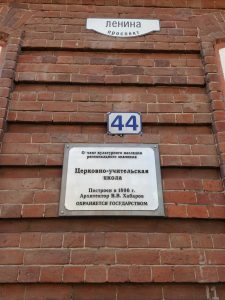 44 Lenin may have been his last building. 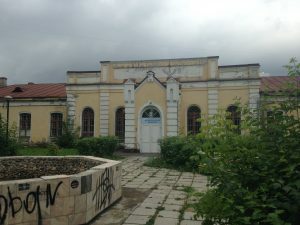 Here are some photos I took on my phone of 5 of Khabarov’s buildings that still remain: 1) school at the Alekseevskii Monastery of the Mother of God; 2) Sliavianskii Bazar; 3) building at the children’s hospital complex; 4) 44 Lenin Avenue; 5) the House of Scholars.